Indeed, It didn’t take long for this beautiful and luxurious hue to hit the streets and our Instagram feed, as well as the stores and runway. Brands such as Gucci and Loewe were inspired to create strong runway looks mixing them with bold colours and statement accessories, while high street retailers, on the other hand, took the opportunity to introduce a full range of purple-inspired spring trends. 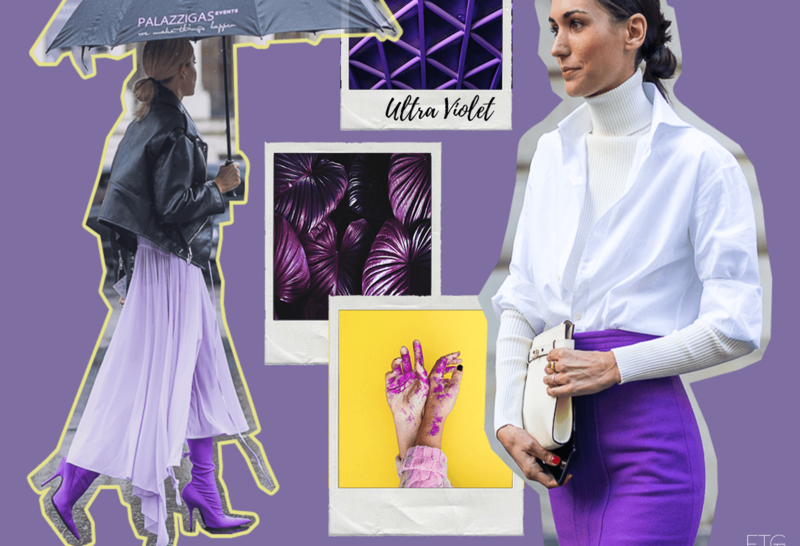 Influencers are keen on trendy Ultra Violet shade too, so they didn’t miss the chance to capture their stylish looks on social media. We are excited to see this colour trend in other spectres of fashion and lifestyle industries!